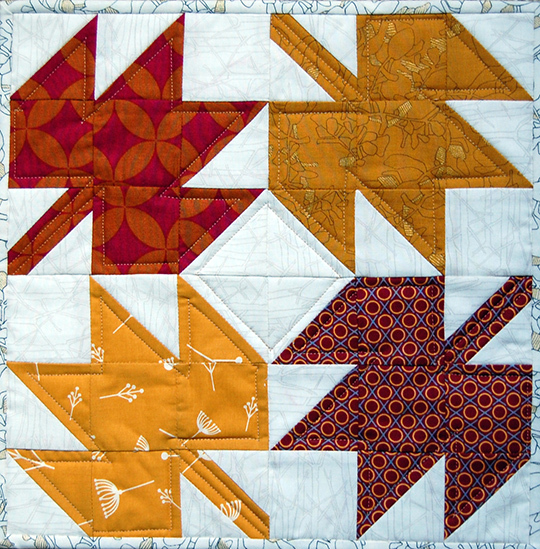 heather kojan quilts: Maple Mini: A Tutorial on the C&T Blog - Plus Giveaway! Maple Mini: A Tutorial on the C&T Blog - Plus Giveaway! I just got back from three fun filled days teaching at the Original Sewing and Quilt Expo in Fredricksburg, Virginia. Thanks to all my wonderful students who came with an open mind and willing spirit. It was so much fun hanging out with you! Head over there now for the tutorial and a chance to win a copy of my book Classic Modern Quilts! Looking at your lovely autumn Maple Mini really enhances my early morning experience of sitting on the screened porch, listening to ducks on the lake and enjoying 51. You have definitely put me into an autumn frame of mind. Thanks.